For the second year, Richard Mille is proud to be celebrating the title of the Official Timekeeper to the Polo Club Saint-Tropez; a magnificent 30 hectare-green setting nestled between Saint-Tropez and Pampelonne in the South of France. The partnership is based on the values of excellence, prestige and exclusivity that both Richard Mille and the Polo Club Saint-Tropez Polo Club share. Polo Club Saint Tropez has recently announced the new association of Mr Alshair Fyaz, SCA Haras de Gassin and Corine Schuler, Founder of Polo Club Saint Tropez. Together they have begun the new development of Polo Club Saint Tropez, enhancing the Club’s beautiful grounds into new and modern facilities, which will incorporate new housing, stables and state of the art Tifton playing fields. For the 2014 Summer season the club hosts 6 international tournaments with several of the highest ranked teams competing in a variety of handicap levels throughout the polo season starting from June until Mid-September. 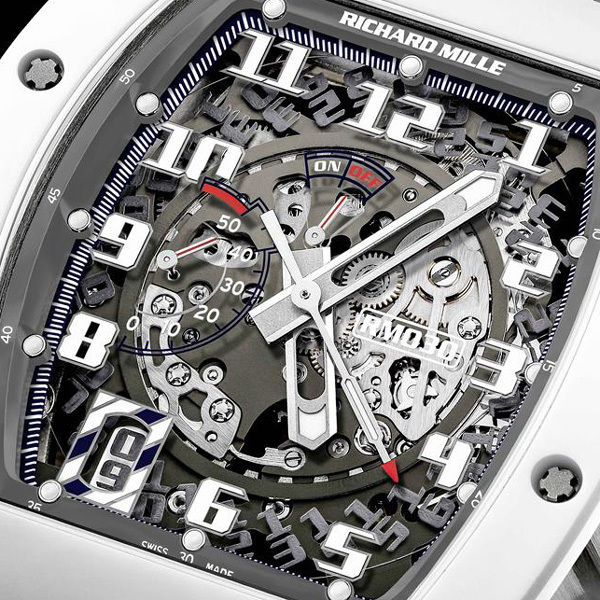 Richard Mille will have an official presence at the Club’s major tournaments this year - The International Polo Cup Saint-Tropez (3rd July - 13th July) whose finalist will contend for the prestigious ‘Richard Mille Cup’, The Polo Masters - Open de Gassin (17th - 27th July) which is the summer destination for the famous Polo Masters Tour and the Côte d’Azur Polo Cup (7th - 17th August). The polo Masters Tour is an exciting addition to the Saint Tropez Polo club Calendar. The International teams have competed over the winter in Val D’Isere, Megeve and Courchevel and the tour has included the summer game in the stunning setting of the St Tropez polo Club. The final weekend will be an exhibition of sport, festivals and elegance. The programme will include a Ladies’ day, showcasing the elegance and skill of ladies polo in an exhibition match. Beautiful vintage cars will also be on display and a fashion show will also be a spectacle of the weekend. 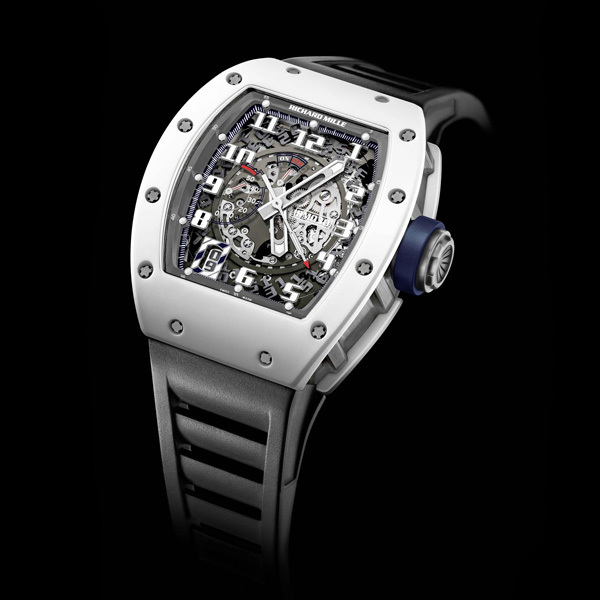 To honour the second year of the successful partnership Richard Mille is pleased to announce the RM 030 Polo de Saint- Tropez, a limited edition of 50 timepieces available from July at Polo Club Saint-Tropez and official Richard Mille Boutiques in Europe and the Middle East (Paris, Geneva, London, Dubai, Abu Dhabi). 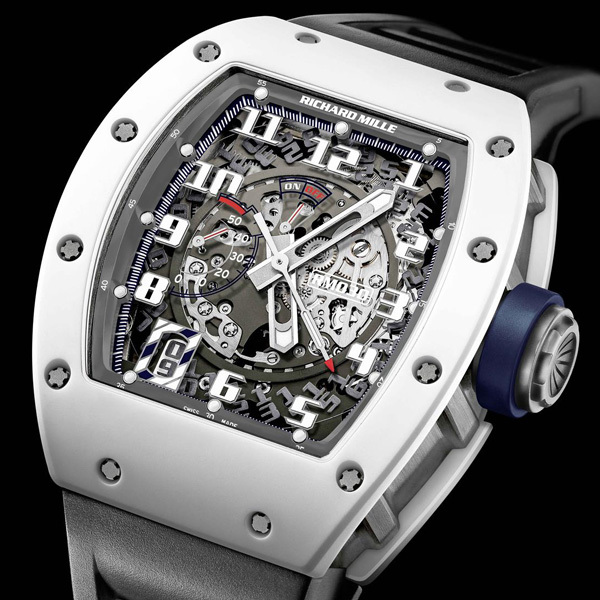 The RM 030 Polo de Saint-Tropez comes in a ceramic ATZ bezel and caseback and a grade 5 titanium caseband. Details in case and dial take their inspiration from the colours of the Polo Club Saint-Tropez logo, navy blue and white. The Polo Club’s logo is engraved on the rear sapphire glass completing the exquisite finishing of this timepiece which comes fitted with a grey rubber strap and titanium buckle.